The DCS (Dynamic Combat System) is a lightweight armour carrier with removable sides. Can hold Nexus Soft Armour Front and Back and in adjustable side pouches, the DCS is also capable of holding large ballistic plates 10" x 12" front and back and 6" x 8"
The DCS (Dynamic Combat System) is a lightweight, low profile system. 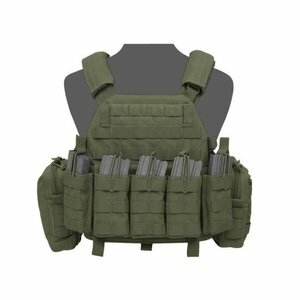 This rugged yet ergonomically designed plate carrier has been specially developed for extreme comfort and functionality. 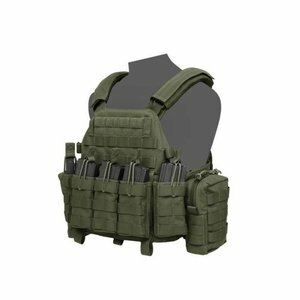 This plate carrier was developed in consultation with actively serving Special Forces. Perfect for both SF missions and regular infantry missions. 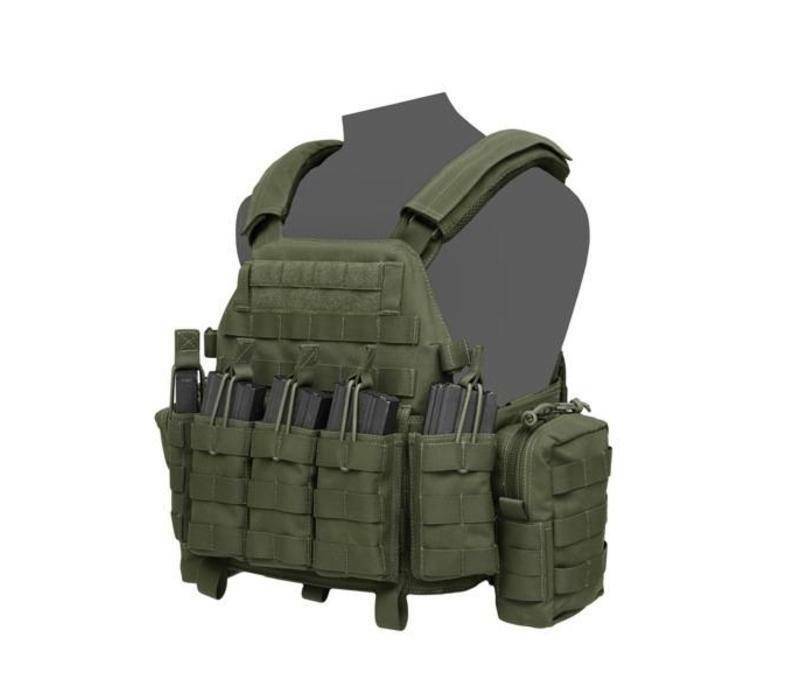 The DCS Plate Carrier is suitable for Nexus NIJ level 3a Soft Armor on the front, back and in the adjustable pouches on both sides. This Warrior Assault Plate Carrier is also suitable for large ballistic plates on the front and rear and for side plates of 15 X 15 cm and 15 X 20 cm. Can also be perfectly combined with ICW plates and for protection against IEDs. The shoulder straps are fully adjustable and have an Emergency Release on one side which ensures that the left shoulder is released. This allows the operator to remove the plate carrier without removing his helmet. The sides of the DCS are fully adjustable and can be adjusted within 15 seconds. It comes with 3D Spacer mesh which has been specially developed for cooling and comfort. The DCS has been developed to carry it together with the Warrior Frag Belt. 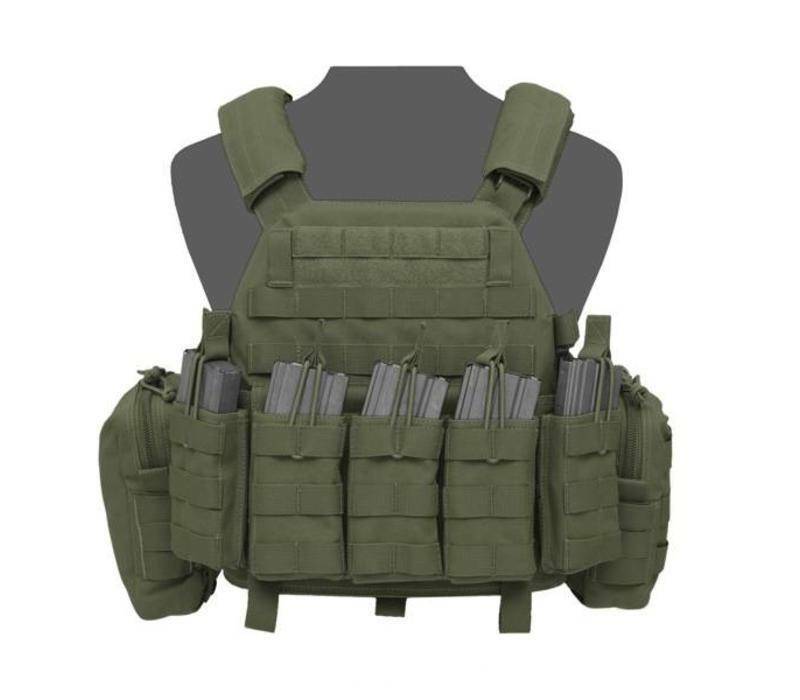 The DCS DA 5.56mm (Direct Action) comes with 5 x Open Mags for 5.56mm Mags (inc PMAGs and CAA Mags), 2 x Small Utility / Medic Pouch.